Keith Urban is learning an enormous amount by living in a house full of women. The singer is married to Oscar-winning actress Nicole Kidman and together they have two daughters, Sunday, six, and Faith, four. While many men would struggle in a female-dominated household, Keith is embracing it. "I didn't grow up with any girls in my family, it was just my brother and me and mom and dad," he said according to Us Weekly. "Now being in a family that is all girls, I'm learning an enormous amount." The 47-year-old tied the knot with Nicole in June 2006 after meeting the previous year. And as time has gone on, the couple have found a parenting style that they are both happy with. "Nic and I are very in sync with the way we want to raise our girls," he added. "[We maintain] a very expressive, artistic house. I'm very comfortable with it." Keith juggles his parenting responsibilities with his music career and role as a judge on American Idol. But despite his busy schedule, he's still had time to notice how much his girls are growing up, particularly his eldest, Sunday. "Nic and I were just talking about [how] she’s just transformed in this little period, the last handful of months. She's a [growing] girl!" he smiled. 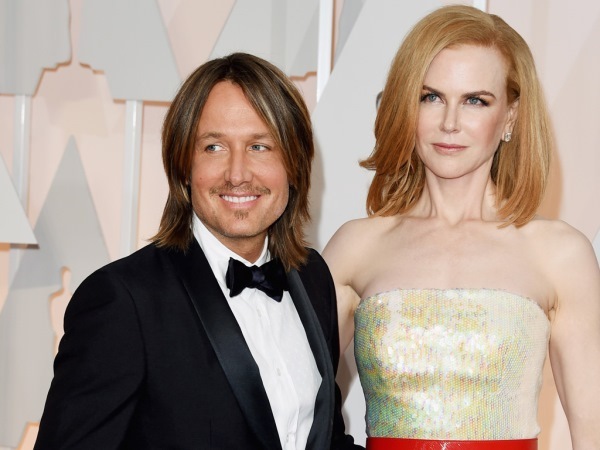 While Keith is full of praise for his wife, the 47-year-old Moulin Rouge! star is just as complimentary about her spouse, particularly in the wake of her father's death in September last year. "We all go through terrible things at different times in our lives, but to be literally carried by your partner, physically at times 'cause I was so devastated, it's just like, I'll do anything for that man," she told Ellen DeGeneres.